​When six highly conscious travelers seek transcendence and a transformation for the world, they embark on individual journeys that will challenge the traditional understanding of consciousness. Each character encounters the wise and powerful WayShower, who initiates their mystical adventures. The WayShower provides each individual with synchronistic information that leads them each to a specific sacred site. At these sites—ranging from the Yucatan to Glastonbury, England, to Uluru, Australia—the travelers explore what is beyond the known forces of the universe and meet Haesa Vosa. As the limitless I AM creator presence, Haesa Vosa grants the travelers unique abilities and orchestrates their transcendence. As the mystical journey edges toward its ultimate conclusion, the six Transcendent Ones are brought together with the all-powerful beings that have guided them. Here they face what’s beyond the infinite doorway and a new role for the universe. 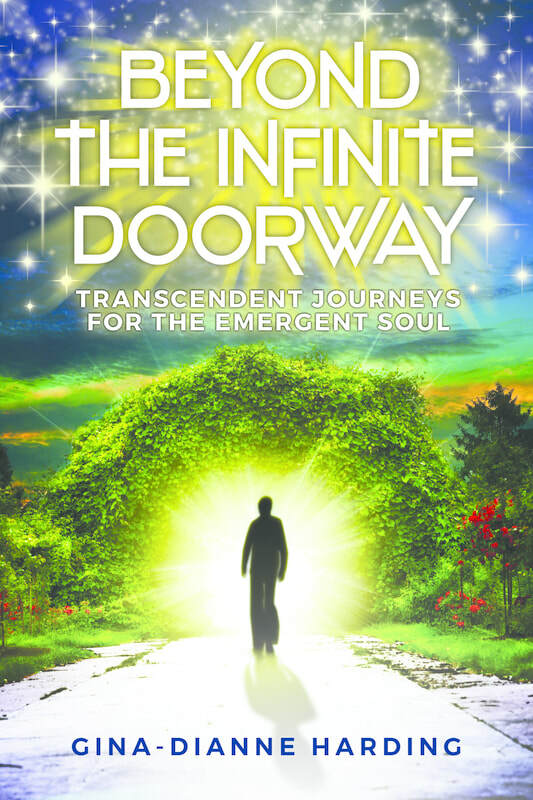 Featuring elements of fantasy and spiritual enlightenment, Beyond the Infinite Doorway is an extraordinary tale unlike any other. Readers will find themselves in the characters' journeys, allowing them to discover insights into their own role in the greater game. This visionary work will inspire curiosity and a pursuit of what lies beyond all things. “It is time,” Haesa Vosa said. “Drink from the mystical waters here and take on your transcendent powers and abilities,” she invited. A sacred gourd, adorned with aboriginal mythical creation creatures appeared and floated before him, a holy vessel of infinite Omniversal consciousness. He reached for it with both hands, hovered over the water hole, and dipped the cup. As he drank from the delicious nectar of the ancient ones, he delighted in the life-extending properties, the sweet, thirst-quenching rapture of fulfillment. Suddenly he gasped, the chalice falling into deep into an abyss in the watering hole where it would only be found again by others who happened here for a mystical ceremony of transcendence. He lost consciousness, His mind rambled. It was like the Big Bang in reverse. He knew that scientists had predicted the universe would shrink and implode someday, and it looked as if today was the day. He wondered if it was true that energy could never be destroyed. Was it compressed inside him, wanting to be dreamed, imagined, reformed—or was it more like a seed that holds the shape of its fully grown form within itself? What had happened to the souls of the universe’s beings? Were they blissfully floating in pure consciousness or were they deep within him, unaware they were in a different location? Were the lords of creations, the creator beings of the universe, inside him? Why is this happening? Why has the universe imploded and entered me?he wondered. A voice from his inner knowingness, combined with an external new source of information, told him, “This is the way the universe is passed to a new Source. This is the beginning of your initiation. You are to be a new Source Force, the next Sourcerer of this universe.